On Saturday, I was very excited to go to xSandy's Hair & Beauty store. 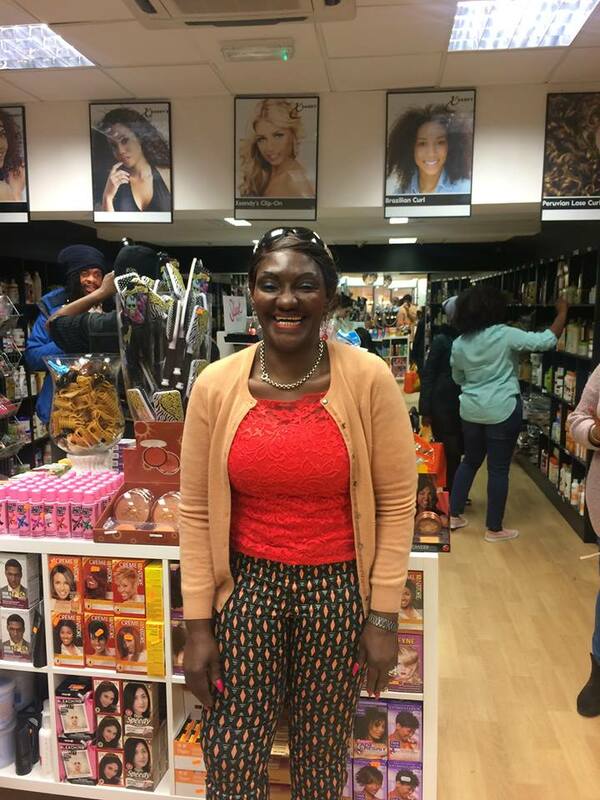 Mahogany Naturals was launching at the store, so it was a double celebration. In case you missed the memo or the title (am I being cheeky? Perhaps but it's all bants right? 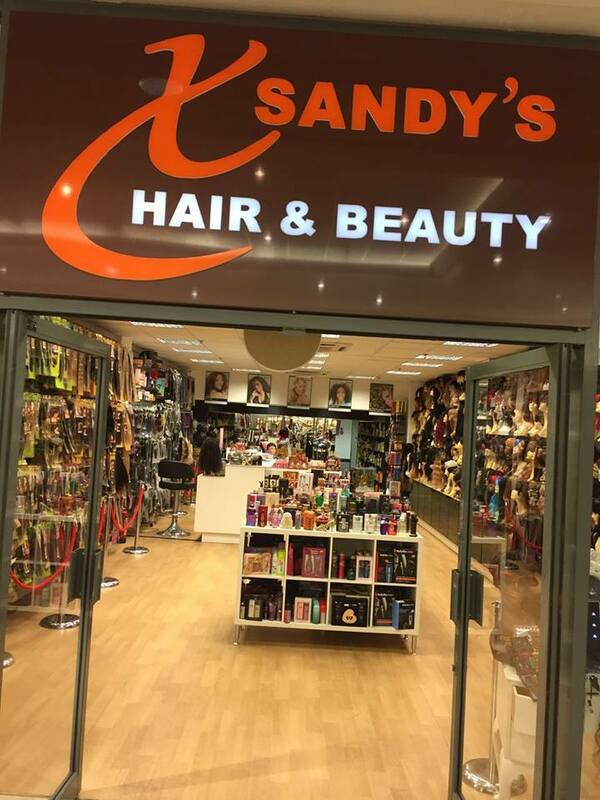 xSandy's is the first hair & beauty store to open up in Lewisham that is owned by a BLACK woman. Yes I put that in capitals. Why? Because I really want you guys to understand the gravity of what I'm saying. Here's some facts and figures for you. In the UK, we spend £5.25 billion annually on hair and Black women account for 80% of that sales figure. The Black haircare industry is estimated to reach 500 billion dollars next year, from online sales, styling products and tools, hair & beauty stores etc. Statistics show that Black women spend double the amount other races usually spend on cosmetics products. Despite the fact that Black people spend so much in the industry, the Black community barely profits from any of the sales mentioned, because the industry is owned mainly by Asians. Disclaimer: I do not have a problem with Asians. But you must see that the fact that the Black dollar and the Black pound do not get circled in the Black community enough has contributed to the fact that we do not have economic independence as a community. This is something that is unique to the Black race, as many other races support their communities. Did you know in the Jewish and Asian community, money gets circulated for 15-20 days, but in the Black community, it only circulates for a couple of hours? With this in mind I'd like to ask you: How often do you support black-owned businesses? Whilst you ponder the answer let's find out what the lovely Sandra had to say about her store, the ranges and lines she carries and her plans for the future. Me: Why did you create your store? Sandra: I decided to create this sore due to frustration. I became sick and tired of going into hair shops where the individuals that were serving me didn't know anything about the product or the brand. I think the last straw for me was when I went to a hair sop and asked for a hair moisturizer and the guy serving me offered me gel. Me: WOW! How did that make you feel? Sandy: I felt sad to be honest and then I asked myself: 'Why would I do that? Why would I go to someone who doesn't know anything about my hair type and then expect them to be able to help me?' And then I felt really insulted. I'd asked this guy for help, and he didn't really care to help me, he just picked up anything he could find off the shelf and gave it to me. When I asked him what the product was for he was dumb-struck. Me: So you asked him for a moisturiser, but when you asked him what it did he was now dumbstruck? Wow! Sandy: Yeah. When people in the store caught wind of what was going on it did create a bit of a storm, because other people could relate and understand my frustration. The general response I got was: "Yes. We understand sis. We know what you mean. That's just what these shops are like. But we can't go anywhere else to buy our products, cos where else sells them?" So I decided that this experience was never going to repeat itself and the rest as they say is history. Me: I noticed that you have only Black female staff here. Any particular reason for that? Sandy: Well yeah like I was saying before one of my main frustrations was going into stores where people knew nothing about my hair type yet were giving me advice on it, so I wanted to not replicate that here. Also one of things I'm really passionate about is creating employment opportunities for Black people, as due to the "glass ceiling" I know a lot of Black people do not have access to equal employment opportunities, so I really wanted to change that. 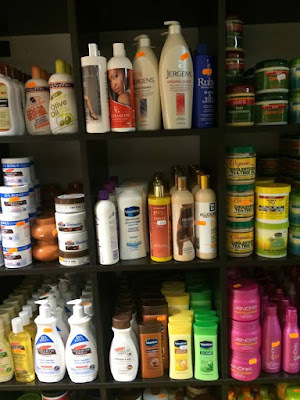 Me: What types of products can people expect to find at xSandy's? Sandy: We are a hair and beauty so all things hair and beauty. We have weaves, wigs, frontals, in synthetic and remy hair. We have make up too from brands like Fashion Fair and Ojon. We also have skincare e.g. African Black Soap, Jergens, Palmers, and cleansers. 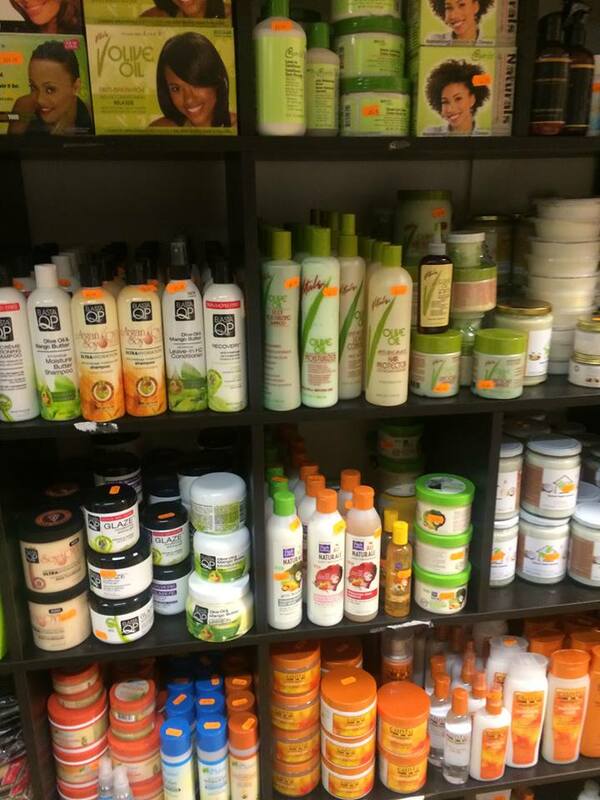 We have natural hair product specials such as Ojon, Cantu, Mahogany Naturals and more. Sandy: The wigs are exclusive to xSandys. We have a wide variety of colours and lengths to suit all. Sandy: To have lots of xSandy's all over London. By the end of the year I'd like to have 6 more shops. Sandy: My pleasure. Thank you. Tune into the Part 2 of this blog post, where I tell you all about the Mahogany Naturals product launch.